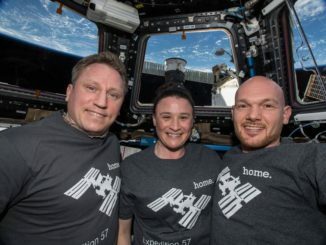 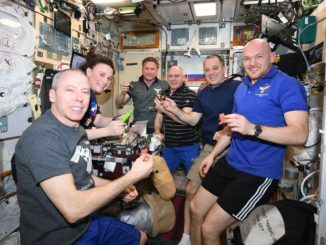 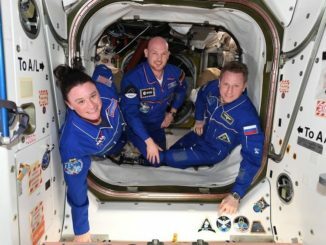 Two U.S. astronauts flanked a veteran Russian cosmonaut Thursday for a ride back to Earth from the International Space Station. 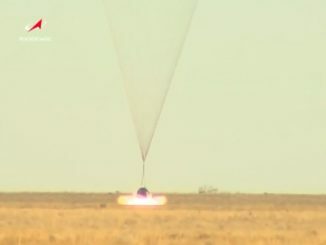 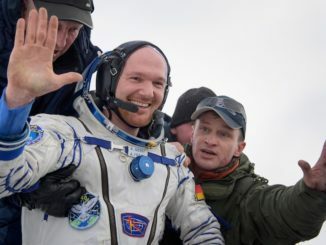 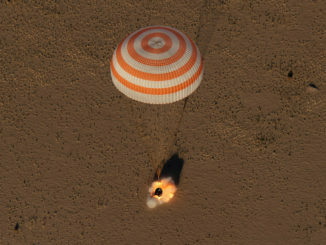 The trio undocked from the station in their Soyuz spacecraft at 0757 GMT (3:57 a.m. EDT), beginning a return flight that culminated in a parachute-assisted landing on the steppe of Kazakhstan at 1145 GMT (7:45 a.m. EDT). 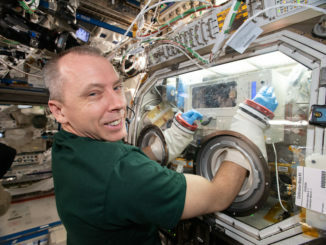 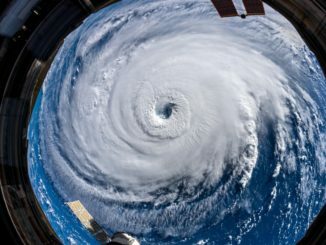 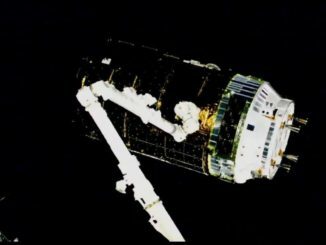 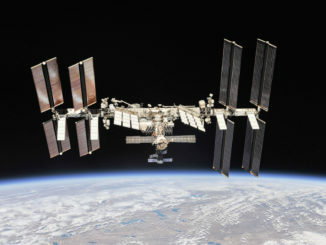 The head of the Russian space agency caused a stir last week when he said a hole drilled through the side of a Soyuz ferry ship docked to the International Space Station was the result of a deliberate act, “either on Earth or in space.” Station commander Drew Feustel said Tuesday it most certainly did not happen in orbit.